Flight Visualizer, track selected flights/aircrafts all over the world, 100% free! Programming is a matter of learning by doing. Eric Roberts' Programming Abstractions in C++ gives students opportunities to practice and learn with engaging graphical assignments. A client-first approach to data structures helps students absorb, and then apply the material. Written by a master teacher and author of the highly acclaimed The Art and Science of C, this new book helps students master the fundamentals of data structures while encouraging them to develop strong software engineering skills. 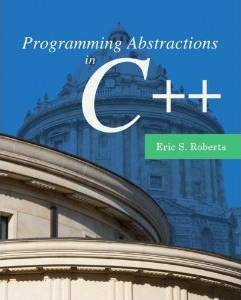 By emphasizing modern programming concepts such as interfaces, abstraction, and encapsulation, the text provides an ideal foundation for further study of programming. With his clear explanations and engaging writing style, Professor Roberts leads students through the CS2 curriculum in a way that captures and holds their interest throughout. After receiving his Ph.D. in Applied Mathematics from Harvard University in 1980, Eric Roberts taught at Wellesley College from 1980-85, where he chaired the Computer Science Department. From 1985-90, he was a member of the research staff at Digital Equipment Corporation's Systems Research Center in Palo Alto, California, where he conducted computer science research, focusing on programming tools for multiprocessor architectures. In September 1990, Roberts joined the Stanford faculty, where he is now Professor of Computer Science and the John A. and Cynthia Fry Gunn University Fellow in Undergraduate Education.